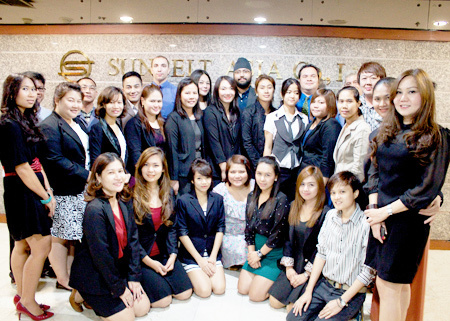 Sunbelt Asia is Thailand’s largest legal and business services network. Our offices in Bangkok can service clients in all areas of the country via email and personal visits. Our services include mergers and acquisitions, company formations, work permits, immigration, family law, marriage and divorce, property including usufructs and leases, condo purchases and more. We offer legal specialists in forming Board of Investment promoted companies and are offer expertise in forming companies for Americans under the Treaty of Amity. Sunbelt Legal Advisors are a team of International Advisors working hand in hand with licensed Thai lawyers to offer the most accurate advice and definitive legal services for living and working in Thailand. Our lawyers are fluent in English and can explain the intricacies of the Thai legal and business system to you. We are a full service business, legal and property center for foreigners living and working in Thailand. We understand the needs of foreigners in Thailand. Sunbelt Asia in Thailand is part of the world’s largest business transfer specialist company, Sunbelt which has grown dramatically since 1979 to become Internationally renowned, with over 389 offices located throughout the world. We are a member of the International Business Brokers Association, the Institute of Certified Business Counselors and the American Chamber of Commerce in Thailand. In addition to our legal services we act as Independent Business Transaction Intermediaries, serving both buyers and sellers, and we specialize in mergers and acquisitions in the small to mid-market area, in Thailand and internationally. We also work with franchises looking to expand to Asia, and help to develop franchises for local Thai firms. Our team of experts at Sunbelt Asia can assist you in all aspects of living and working in Thailand.